LEXINGTON, Ky. (July 24, 2018) — Simidele Adeagbo uses her athletic success to help others and pave the way for future generations. 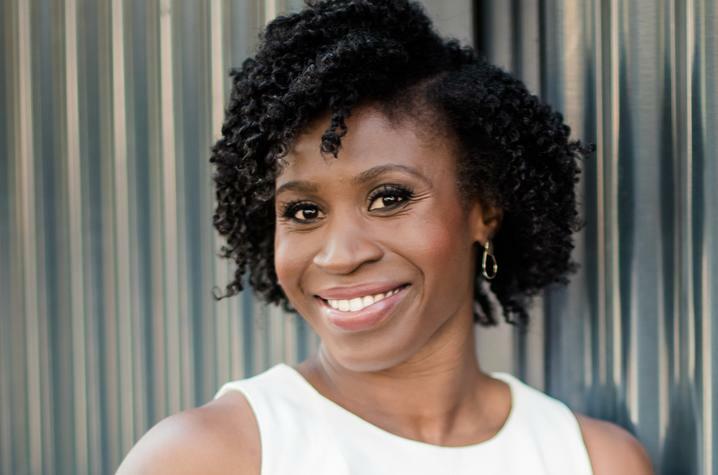 The recent Olympian and University of Kentucky School of Journalism and Media in the College of Communication and Information alumna has recently been selected for the inaugural Obama Foundation Leaders: Africa Program. She beat out 10,000 applications for one of the 200 spots available. The program participants gathered in Johannesburg, South Africa, for a five-day event which ran from July 14 through July 18. Their days were filled with plenary sessions, problem-solving workshops, and skill building training that will be used to help the emerging leaders inspire positive change throughout Africa. The group of young leaders also met with former President Barack Obama, where they had the opportunity to share their experiences and the work they are doing within their communities. After the program, the leaders will remain connected to each other and will engage in frequent discussions, have access to leadership and training resources, and participate in training and webinars. The one-year leadership development and civic engagement program trained, supported and connected the 200 young leaders across Africa working in government, civil society and the private sector. Adeagbo applied for the program to help to continue to instill positive change in her community, country, and continent and hoped the program would equip her with the skills needed to make an impact. “I’m excited to be a member of the first class of the Obama Foundation Leaders: Africa Program. I’ll be learning from and working with an impressive group of young people from across Africa to create local and global change. I’m looking forward to moving the world forward through creating the future that I want to see,” Adeagbo said. Adeagbo's ultimate goal is to provide access to quality development programs and positive role models in the community while also harnessing the potential of Africa's youth. Her most recent accomplishment was a leadership and sports masterclass for girls in Nigeria where she used her own experience in athletics to inspire youth, build communities and create social change. Adeagbo hopes to use sports as a basis for the transformation. In the future, Adeagbo plans to expand her effect in the community through partnerships with grassroots organizations, whose goals are to make an impact in the lives of girls and youth in Africa. 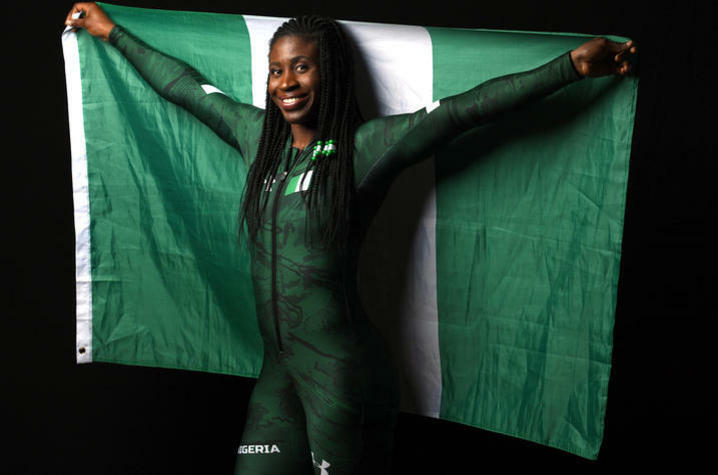 Along with her recent inaugural accomplishments, Adeagbo is also a sport and social justice advocate as well as a business leader at Nike Inc. She made history in the 2018 Winter Olympics by becoming the first Nigerian Winter Olympian and the first African and black woman to compete in the sport of skeleton at the games shortly after she began the sport. For more information about the program, visit www.obama.org/. For more information about Simidele Adeagbo, visit www.simisleighs.com/.